06 Do You Wanna Dance? 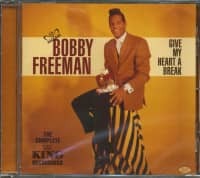 Still among us and still vigorous as of this writing, Bobby Freeman has had a long involvement in popular music that began in his hometown of Oakland, California. He was born on June 13, 1940, and grew up with his grandmother, who had been a dancer on Pacific cruise ships. Bobby joined a group called the Romancers, who began their recording career for Dootsie Williams, but left the group early in 1957. Still in high school, he joined another group, the Vocaleers, and impressed a local dee-jay, Jim Hawthorne from KYA. Hawthorne brought them to Coast Recorders in San Francisco to make a demo tape, but only Bobby wanted to take up the offer. Bobby brought along a song he’d written two years earlier, Do You Wanna Dance, and hammered it out at the piano, making up some of the words as he went along. Hawthorne saw the song’s potential and encouraged Bobby to record it. The conga-like sound was a drummer beating on empty drum cases, and some sources say that the pianist on the session was William ‘Skip’ Rose, who later worked with Charlie Musselwhite. Bobby remembered that after he’d ended the song, Hawthorne pointed to the drummer and motioned to him to start over again. Bobby then tacked on another three verses. Hawthorne gave the tape to veteran songwriter and Jubilee Records A&R man Morty Palitz, who was reportedly in San Francisco on his honeymoon. Palitz gave it to Jerry Blaine, president of Josie/Jubilee Records. Blaine added a few overdubs, including guitarist Billy Mure, and released the record in March 1958. By summer it was ascending the charts, on its way to #5. 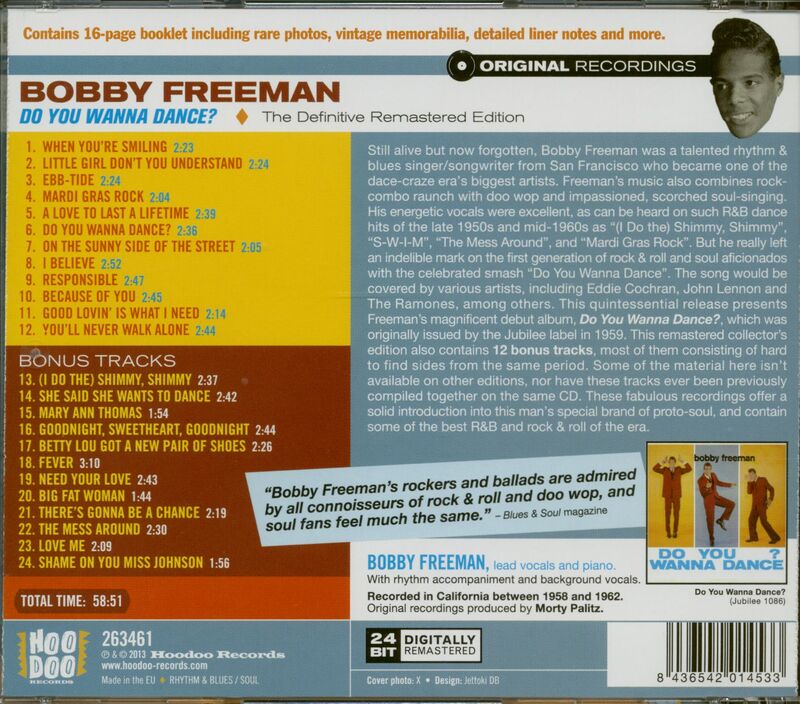 Freeman’s record wasn’t a hit in England, but in 1962, Cliff Richard’s revival nearly topped the charts, and in the United States it charted again for five artists (a record surpassed only by Unchained Melody). Del Shannon made a hit out of it in 1964, the Beach Boys in ‘65, the Mamas & the Papas in ’68, Bette Midler in ’73, and the Ramones in 1978. 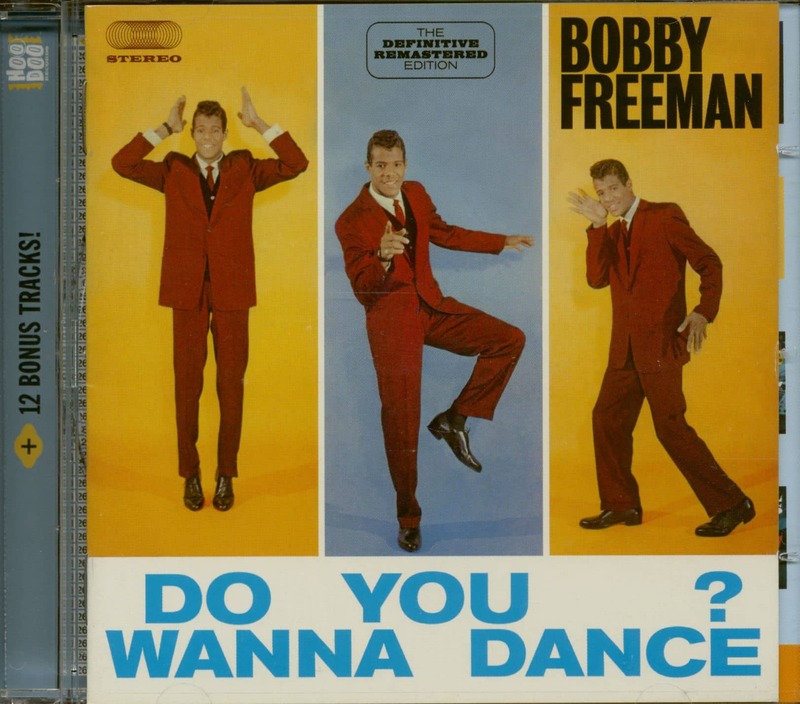 Customer evaluation for "Do You Wanna Dance (CD)"